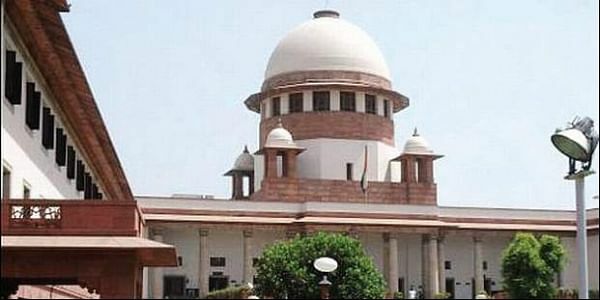 The Central government on Wednesday told the Supreme Court that the Delhi government does not have any executive powers which are entirely vested in the Centre. NEW DELHI: The Central government on Wednesday told the Supreme Court that the aid and advice of the Delhi Council of Ministers is not binding on the Lt. Governor as Delhi government does not have any executive powers which are entirely vested in the Centre. Appearing for the Central government, Additional Solicitor General Maninder Singh told the five judge constitution bench headed by Chief Justice Dipak Misra that before taking any decision, the Delhi government has to take prior approval of the Lt. Governor and after the decision has been taken (by the Council of Ministers), the same should be communicated to the Lt. Governor before being implemented. It is not undemocratic for the Lt. Governor to have an absolute control over the executive to administer the national capital, he said, adding that the Constitution's Article 239AA that provides special provision for Delhi says Lt. Governor will be the administrator of the National Capital Territory of Delhi. Responding to a poser from Chief Justice Misra as to if the Lt. Governor can assume all powers to himself, Maninder Singh said that to the extent that Lt. Governor can't pass orders on his own, but only with the consent of the Council of Ministers. The constitution bench is hearing a batch of petitions by the Delhi government challenging Delhi High Court order that held that the Lt Governor had the final authority in the governance of the national capital. The Centre is defending the High Court verdict. Besides Chief Justice Misra, others on the bench are Justice A. K.Sikri, Justice A.M.Khanwilkar, Justice D.Y.Chandrachud and Justice Ashok Bhushan. The elected government must discuss all the issues with Lt. Governor as that is the scheme provided under the constitution, the ASG told the bench saying that the national capital territory of Delhi belongs to the entire nation and Union of India alone will have an absolute control over its administration. Elected government can't say that NCT belongs to Delhi and it will take the decision, he added. As he hammered the point that Delhi can't be given statehood, senior counsel Indira Jaising sought to clarify that they, on behalf of Delhi government, had never argued for status of state for Delhi. As Chief Justice Misra said that there were conflicting positions in the arguments of the counsel who appeared for Delhi government, Jaising said that there could be difference of nuances but not conflicting positions. When she sought to make a statement on behalf of the counsel who appeared for Delhi government that none of them have pressed for statehood for Delhi, the Chief Justice said they should file common written submissions stating their common stand. Meanwhile, the ASG said that power over Delhi Police belongs to the Central government and the Aam Aadmi Party government without jurisdiction tried to hire police personnel from Bihar Police for its anti-graft body, the Anti-Corruption Bureau. This created disharmony and Centre had to step in to say that ACB had no authority to probe Central government officers, he added. On government services, the ASG said that services under a union territory would squarely fall under the Centre. "You may give nomenclature of UT cadre but the powers of appointment, posting and transfer are with the Centre. The Centre had on Tuesday told the top court that Delhi can never be considered as a state as the Constitution never envisaged such a status for it and doing so would lead to an "inevitable chaos".